Prospectify is a tool designed to offer account-based intelligence that's automated but personalized. Huge time saver, The contact info is super accurate and can be validated in real time, tons of integrations with other tools we already use, and the customer support is top notch. I'm stretching to find something I dislike, but I guess I'd say it'd be nice if it was a little cheaper, but I can't complain because we drive way more revenue with Prospectify now than we did before them. In reality, it's actually still a huge bargain compared the results that come out using them. I'd recommend setting up a demo to see if it would work for your company. I wasn't 100% sure that Prospectify was something that could help us, and I only setup a demo because one of my colleagues who I really trust told me about them, but I'm glad I did. It was actually easy to tell during the demo how much of a help it would be. Since they don't have a lot of videos or shots of how the product works on the website, the only real way to experience it is through the demo. It's totally worth taking a few minutes to see how it actually works though. We use Prospectify to find what companies we should be selling into and who the right people are at that company that we should contact. For us, it takes literally 30 seconds to find a huge list of prospects with super reliable contact info. The biggest benefit is that I now spend 99% of my time actually selling vs. digging around on the internet to research companies we potentially want to sell in to and then spend even more time trying to find their contact info. We close twice as many deals in half the time. Seriously a huge fan of Prospectify! "Prospectify CS has been very personal and responsive to my needs"
I like the flexibility it provides me to use LinkedIn to curate my list of contacts and get valid emails that I can upload in my email drip campaign tools like Outreach.io and Salesloft. I'm able to build a curated list of 500 prospects in a few hours without ever leaving LinkedIn. My favorite feature is uploading an account list by domains and going straight from prospectify to the company LinkedIn page to start prospecting. The fear of LinkedIn changing throttling limits and privacy has made them shift to an in-house contact management similar to ZoomInfo which doesn't fit our process as much, but is still a great tool! I'll be using this as long as the LinkedIn extension is alive and well. "Easy to use prospecting tool." The tool is easy to use, creating lists and segments take just a couple of minutes. The user interface is self explanatory and makes using the software simple. My favorite filters are searching by technology use and custom 'tags'. Unable to segment or filter lists by use of mobile technology. For our business, it would be great to segment lists based on whether or not a company has a mobile app and what current mobile technologies (SDKs) they are using. Try the free demo, the support team is quick to respond to questions and extremely helpful. Building our pipeline with leads through prospecting. I'm able to generate a list of leads based on industry, job title and more and get quality data. "Great so far. Timely responses from their team, and they are always willing to help." I like how quickly I can gather prospects. We have a high bounce rate, and many emails can't be found so some of my work goes to waste. This is a good product. They are very friendly and attentive. They are forward thinking and responsive to suggestions for their product. Try it out. Just remember that the bounce rate is a little high, but it is still a great product. We can gather prospects quickly, which means I can dedicate my time elsewhere. I'm not sure about business problems. I would just say that if I can dedicate my time elsewhere, then I have the opportunity to make the leads I prospects warmer / hot because that's where I can dedicate my time. Our customer success rep was incredibly helpful answering questions that I had. They are in a different time zone than we are and he was willing to help me out well outside of their normal business hours. The connection and exporting was a little tricky to learn on my own. Turns out Prospectify can do what I want it to, but it took a little assistance from their customer success rep to help me understand. They are very helpful answering any questions. There is no reason I can think of not to at least evaluate whether or not Prospectify can add value to anyone who prospects within your sales org. Able to prospect into net new accounts and gather prospect information. As the product evolves, it has allowed me to really hone in on my ABM approach, starting with companies and then finding the right people at those organizations. Plus, the newest version is no longer reliant on Linkedin, which I believe gives it a ton of autonomy and security for the future. If I'm going to work something into my teams workflow, I want it to stay around. Not much. It really makes me and my team focus on finding the right individual. That takes time, but it also yields better results. Garbage in, garbage out. You don't get garbage from Prospectify. Look at the long run of your business. You need real time data, validated data, organized at the company level first. ABM isn't going away. Spray and pray tactics no longer work. You have to be very targeted and know exactly what you're reaching out to. Finding the right people. That is what its all about. Without the right people, you'll have skewed reactions from people who may or may not be your true target. "Research tool for better results"
When the need came to find new prospects in a new vertical market - this was the best tool for us to make that happen. Made it easy to focus on geography, industry, and titles. The lists we developed made it simple for us to begin an email campaign to soften sales resistance and then contact the right people to begin our sales process. At times we could not get the title holder we sought - most likely due to the fact they are not public. Just made it more time consuming to find what we needed. Quickly find new prospects in new vertical markets without having to spend time searching all over the Internet to find what we needed. The time we saved allowed us to quickly penetrate new markets and achieve revenue goals faster. The system is intuitive, easy to use and most of all: fast. We have reduced our time to prospect by 60% since launching. As with any tech, sometimes things slow down or there are error messages but customer support is instant and helpful. We have a very specific target audience by sector and by location which historically took time intensive deep desk research. We now are achieving 80%+ data (mail and call details) in double quick time. "Prospectify puts everything in one step"
This platform is extremely effective. The identification of prospects, emails and telephones, and CRM integrations represent a powerful tool. Prospectify has been my platform to look for potential clients in new clients. I highly recommend it to people looking to grow their businesses, as well as startup and corporate sellers. Very simple interface: I use LinkedIn, HubSpot and Salesforce connectors. With a single click, I have contact information, trigger events and interests in my CRM. 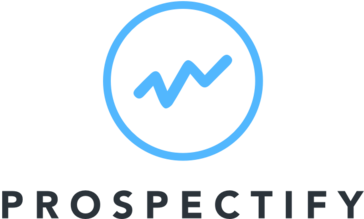 When you absolutely cannot find information on a company or prospect, Prospectify is my go-to. I don't have any complaints with the platform, and the team definitely cares for customers. Give it a try -- best email and direct phone enrichment I've seen yet. It is a vital part of my team's prospecting strategy -- Accounts, Contacts, and Integration with HubSpot. Prospectify is user friendly and allows me and my team to focus on what we need to do....sell, versus prospecting. Overtime the platform and extension has evolved, and it has allows us ABM approach. I also like how we can leverage there new extension on Salesforce to enrich and validate existing data. The platform is very efficient. I'm just waiting for some more updates to be pushed to me regarding enrichment perhaps in my email. Like when someone falls in or out of my criteria. All in all, not much to mention here. Great company to give a try, definitely worth it. Finding the leads that align with our teams quotas. Being able to share information and segments across the team to bring in net new data but also leverage the Always-On CRM Cleanup for existing data. "Prospectify improves your business processes"
Prospectify is fast and easy to use. It is effective for different spheres of business. Fast communication with customer support. I recommend trying the demo version to see if it's effective for your business. This tool saves your time and simplifies the process of finding contacts. The things that used to take up most of our work now take a few minutes. The abundance of data provided in a timely manner is great for list building. Mitigating a lot of redundancy. The ability to alter the parameters in a specific segment. After the segment is created it would save time rather than creating multiple prospect lists from the same segment. Use the free trial to give an idea of the environment. The prospecting phase of the sales process has been allowed more time to focus on outreach. Rather than list building. The amount of filters to apply to company searches are great and really enjoy the technographic capabilities! The workflow required to get the actual prospect contact details is a bit heavy. "Simple Connections to the Right Audience"
Prospectify allows me to find the people and organizations I need to connect with, quickly and efficiently. I've run into occasional issues with the platform not functioning as it's designed to do. These were through the development process and problems were taken care of in a timely manner. We've leveraged Prospectify to find and connect with prospects in our target markets. We've grown our business through attracting new clients and getting a better understanding of our target audience at the same time. "The Ultimate lead sourcing tool!" affordable, high-quality leads at your fingertips. Most efficient prospecting tool I've used. * We monitor all Prospectify reviews to prevent fraudulent reviews and keep review quality high. We do not post reviews by company employees or direct competitors. Validated reviews require the user to submit a screenshot of the product containing their user ID, in order to verify a user is an actual user of the product. Hi there! 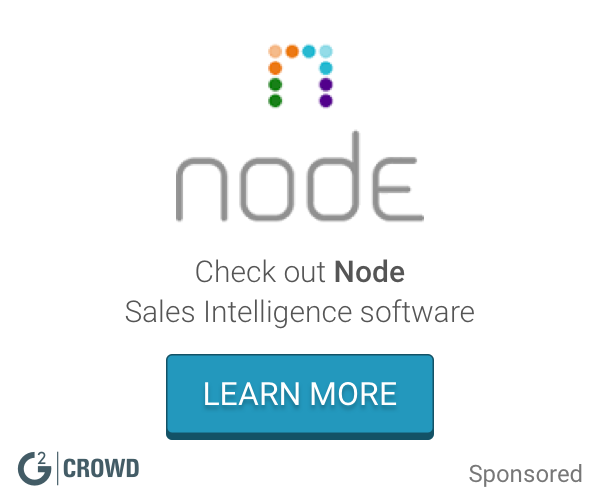 Are you looking to implement a solution like Prospectify?